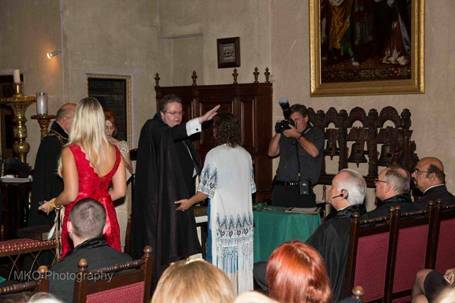 The hugely successful 6th solemn investiture of the US Grand Priory of the Hospitaller Order of Saint Lazarus held in September 2015 at the St. Francis of Assisi Chapel in the historic Mission Inn, Riverside, California was yet another important milestone for the Order in this continent. 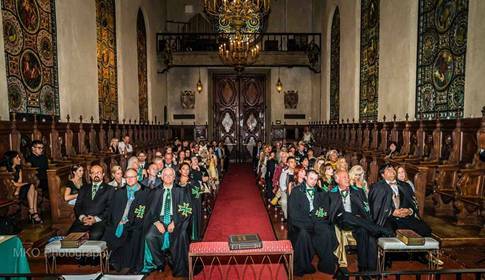 A record number of 35 postulants were admitted into the Order in this solemn investiture, which was overseen by the Grand Chancellor of the Order, H.E. Chev. Massimo Ellul GCLJ GCMLJ. 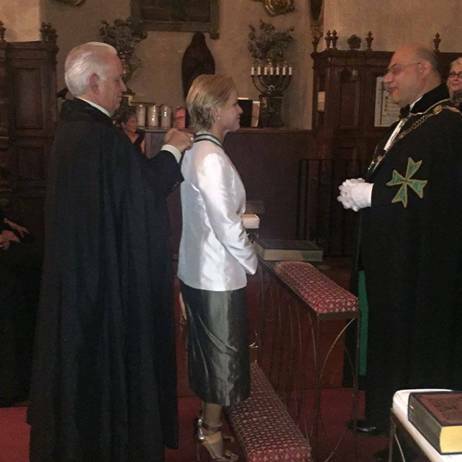 Confrere Paul Reynolds, heir to the legendary tobacco family fortune but now a prime mover in anti-tobacco awareness joined the Order on this day, as did the world's only female Iron Chef, TV personality Catherine Cora, who also launched her autobiography during the investiture. 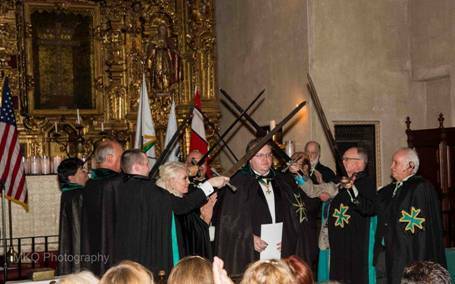 The constant Hospitaller work of this Grand Priory, together with the professional leadership and administrative overseeing of the Grand Priory's Secretary General, Dame Karen Cantrell, has ensured that the US Grand Priory is one of the fastest growing and most active Grand Priories worldwide, with strong networking operations in place with other Grand Priories in Distress of the Order, especially in Africa and Asia. 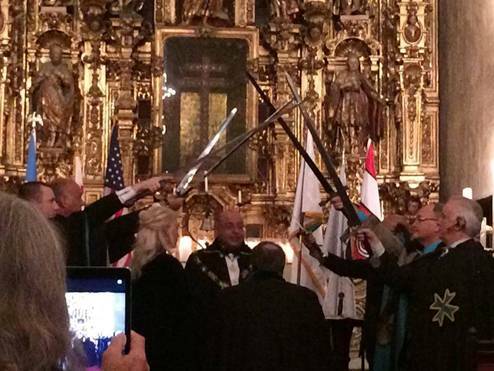 The US Grand Priory also works closely with another important asset forming part of the United Grand Priories, namely the Humanity Healing International organisation, also based in the US. 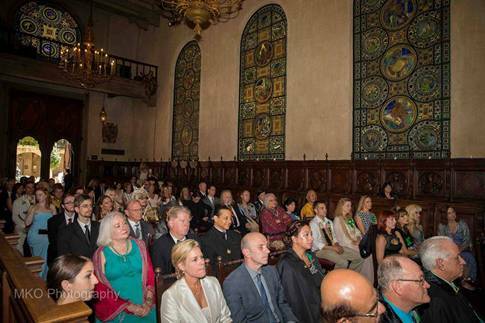 Representatives from the United Nations Association, County and Federal officers and representatives of a number of Royal families were in attendance in this hugely successful investiture. 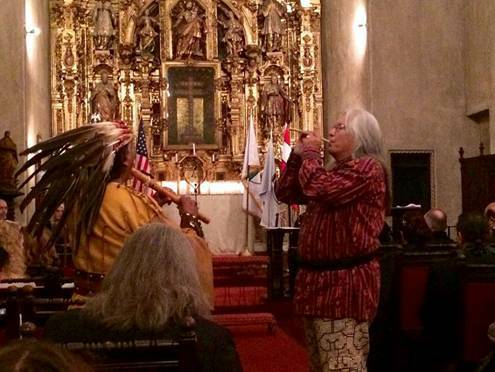 The Priory of Indigenous People was also heavily represented. 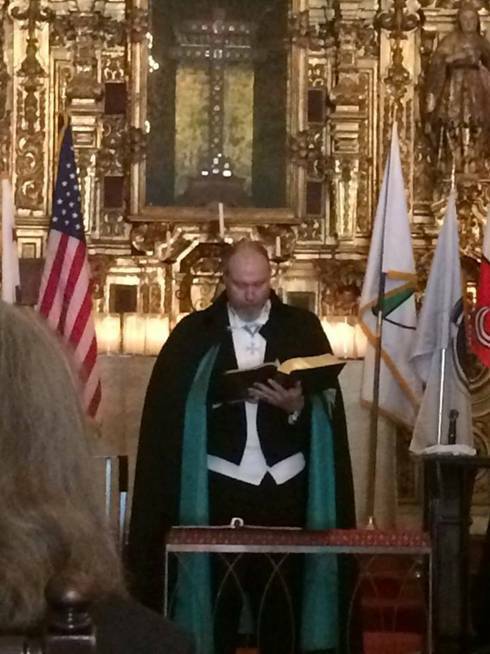 The key moment of the investiture was, in fact, the elevation of the Chancellor of the US Grand Priory, the Chevalier Christopher Chambers of Skighough, to Grand Registrar of the Supreme Grand Priory of the Order, the first, ever position in the highest echelons of the Order for a member hailing from the United States.